Dr. Short grew up in Middleton, ID where he was active in the community with school, sports, scouting, and church. After attending Brigham Young University for undergraduate studies, he earned his doctorate degree at Creighton University in Omaha, Nebraska. 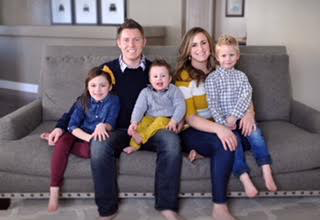 Dr. Short and his wife, Jessica, met in Colorado Springs and have been married for nine years. They have three wonderful kids, Nora, Rafferty and Bennion and a baby boy due this February! When not in the office, Dr. Short loves to spend time with his family fishing, bike riding, playing games and baking- especially pie! Dr. Short brings a warm and gentle chair side manner to the care of his patients, along with exceptional clinical skills. He looks forward to building relationships with the local community both inside and outside the office. Dr. Clarke Short and his family are excited to be back home!